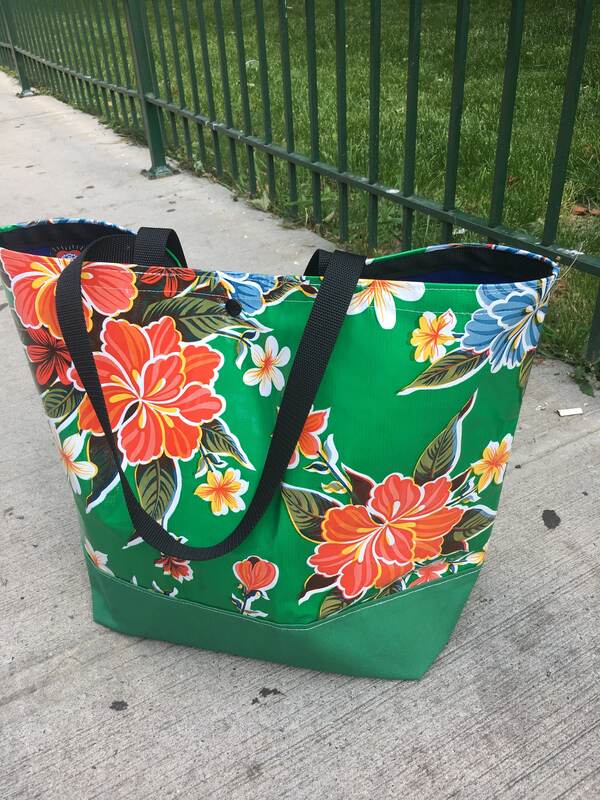 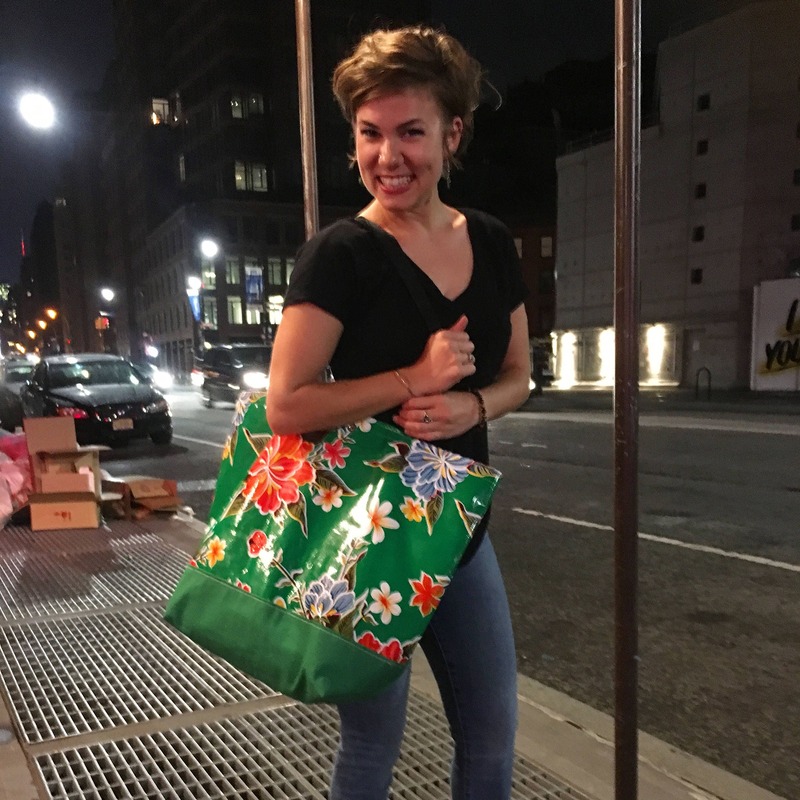 Our large oil cloth beach bag is the perfect accessory to tote all your needs for a day at the beach. 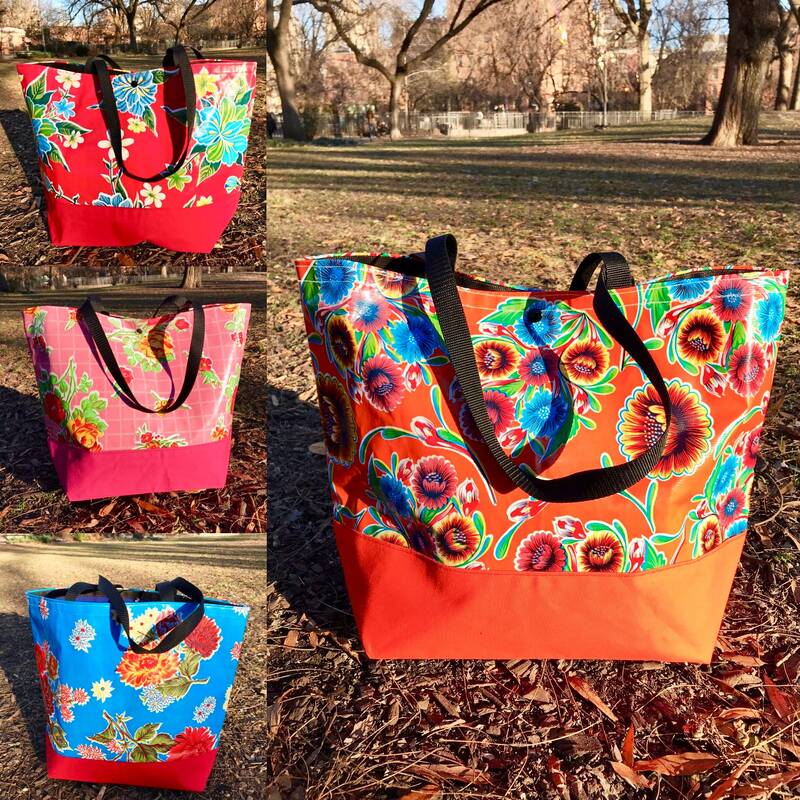 It is a perfect lightweight bag option to use for shopping and a day about town. 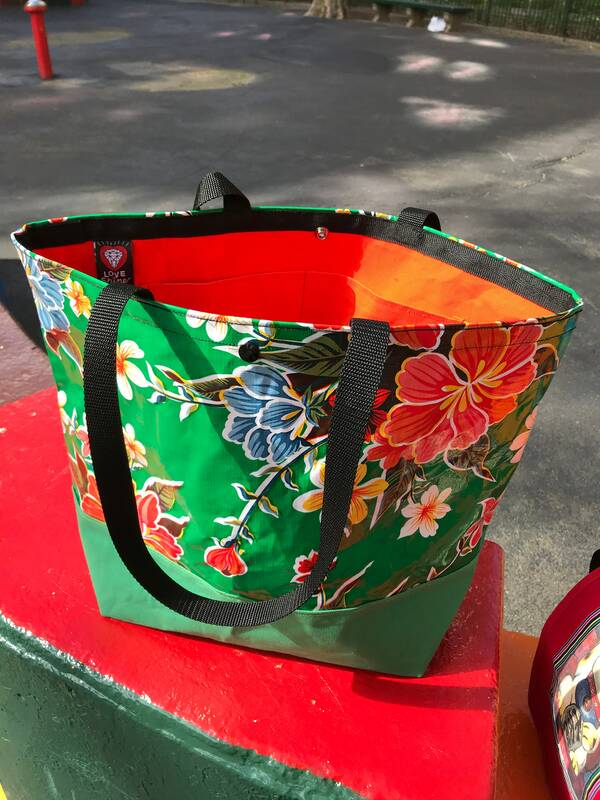 This beach bag is fully lined with a lightweight orange canvas and has two large interior pockets and a top snap closure. 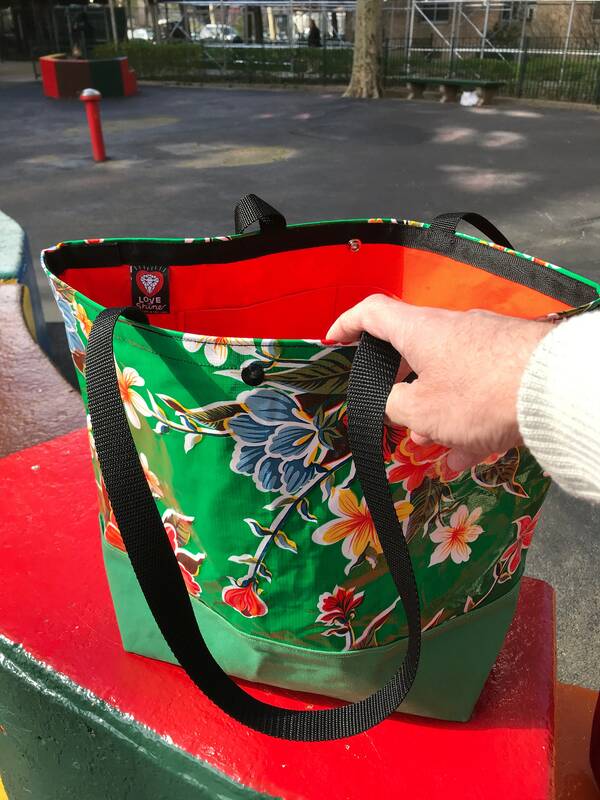 The bottom of the bag is trimmed with a lightweight kelly green canvas for extra durability and design.